M2 Subsea has opened its new office in Aberdeen and created 30 jobs. The fledgling subsea business, which secured private equity investment towards the end of 2016, has moved people and equipment into substantial, headquarter premises in Arnhall Business Park at Westhill in Aberdeenshire. Set to become one of the largest independent providers of ROV services globally, M2 Subsea has got off to a flying start in 2017, recruiting onshore commercial and operational personnel, taking possession of 27 remotely operated vehicles (ROVs) and mobilising 10 of them onto a diverse fleet of subsea vessels. The company, which is also based in Houston, expects to create 50 onshore and 100 offshore jobs by the end of the year. Around 30 people have joined the management team in the UK and the US with more expected to be recruited as imminent contracts are signed. 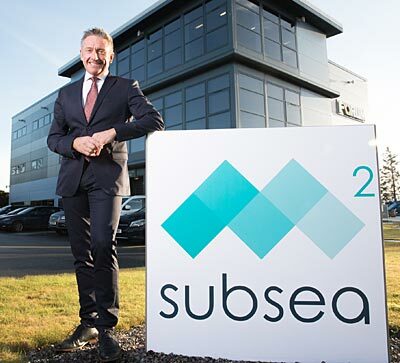 With over 100 years’ global subsea experience and strong financial backing, M2 Subsea’s management team are confident of meeting their ambition to become a leader in remote intervention services in 18 months. They aim to do this by offering safe, cost-effective services including survey, engineering, inspection, repair and maintenance, project management and execution and supply of personnel to the oil and gas, renewables and decommissioning markets. Leveraging the experience, expertise and unrivalled contacts of the senior management team, M2 Subsea provides an independent service that is focused on delivering best value while reducing cost and risk, to meet the demands of the low oil price environment. M2 Subsea was set up in early 2016 but the investment, which allowed the business to acquire a fleet of assets, has provided the foundation on which to build a global business that is entirely focused on delivering OPEX cost-savings without compromising on safety or quality.